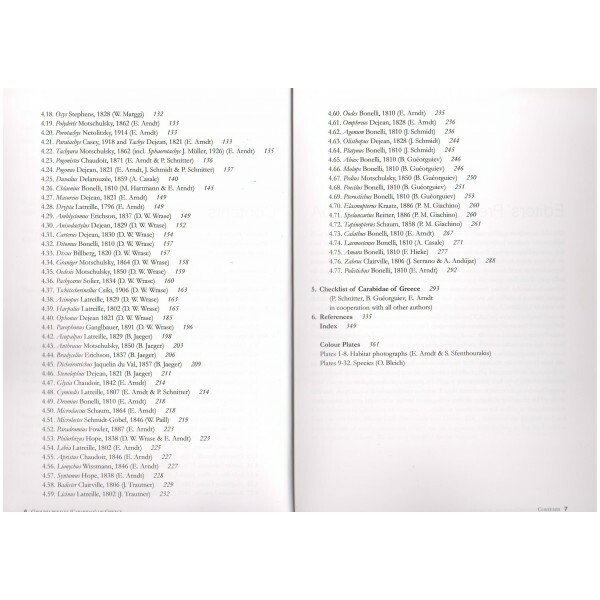 Arndt E., Schnitter P., Sfenthourakis S., Wrase D. W., 2011: Ground Beetles (Carabidae) of Greece - ENTO SPHINX s.r.o. 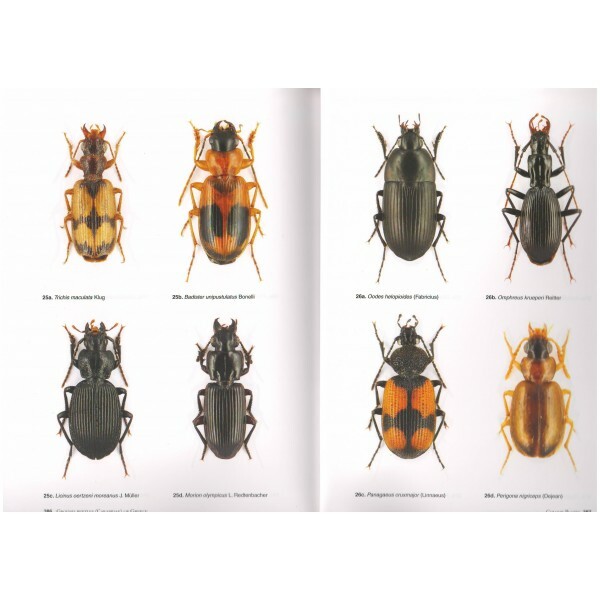 Ground beetles (Carabidae, including tiger beetles, paussid beetles and bombardier beetles) are one of the most diverse insect families in Europe. They occur in apparently all terrestrial habitats and represent a major part of the invertebrate predator guild of the soil fauna, e.g. 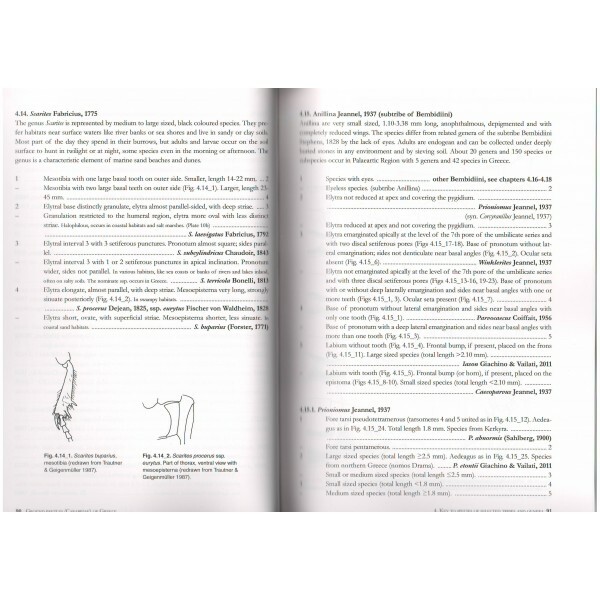 in forests, maquis and agrocoenoses. 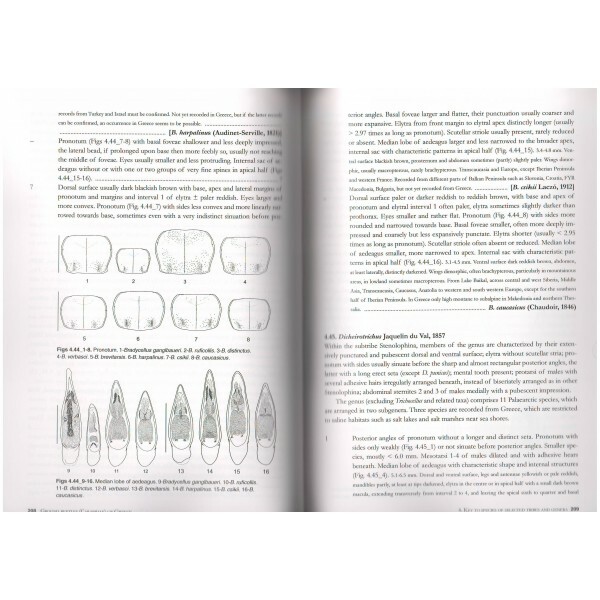 Due to their abundance and ubiquitous occurrence, the overall ecological role of carabid beetles in these ecosystems can safely be assumed. 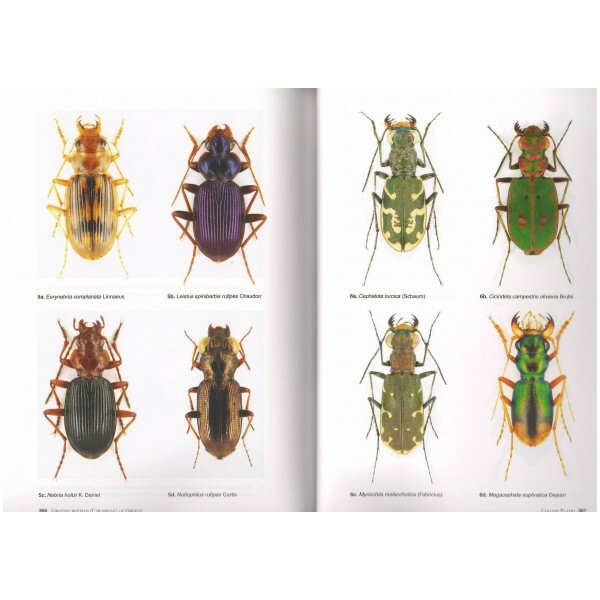 Moreover, ground beetles are one of the most frequently used indicator groups for ecological surveillance, biodiversity research and studies on environmental change. Also pest control in agriculture and forests is possible using Carabid beetles. 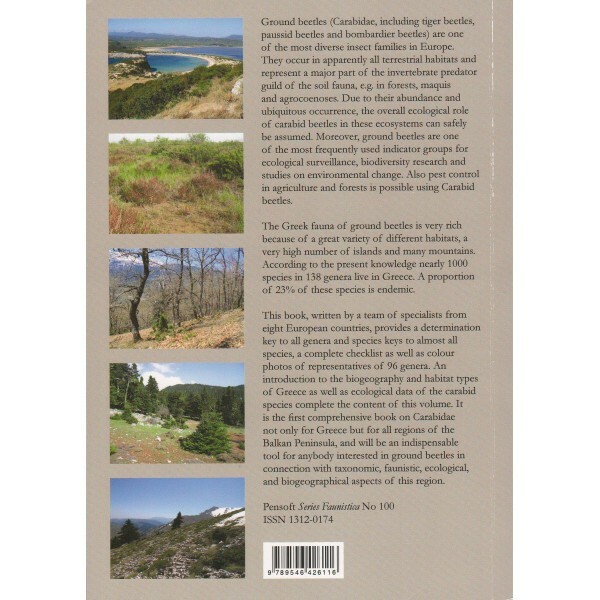 The Greek fauna of ground beetles is very rich because of a great variety of different habitats, a very high number of islands and many mountains. 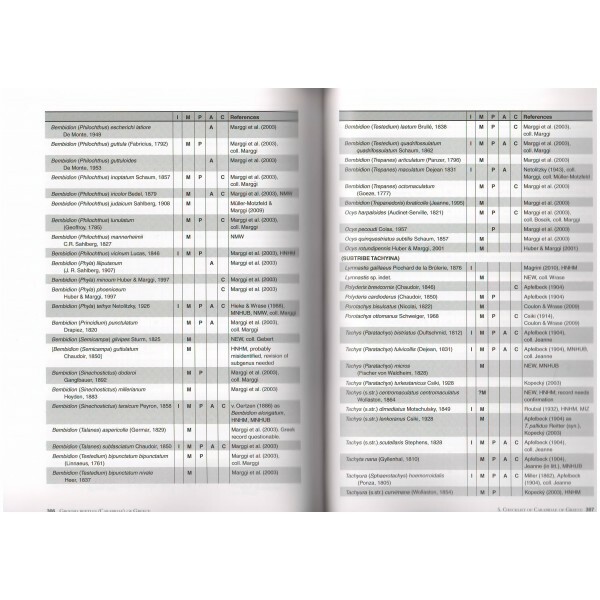 According to the present knowledge nearly 1000 species in 138 genera live in Greece. A proportion of 23% of these species is endemic. 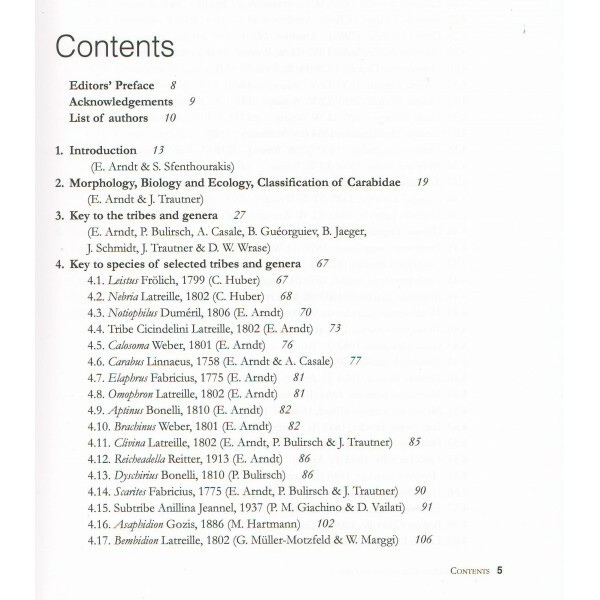 This book, written by a team of specialists from eight European countries, provides a determination key to all genera and species keys to almost all species, a complete checklist as well as colour photos of representatives of 96 genera. 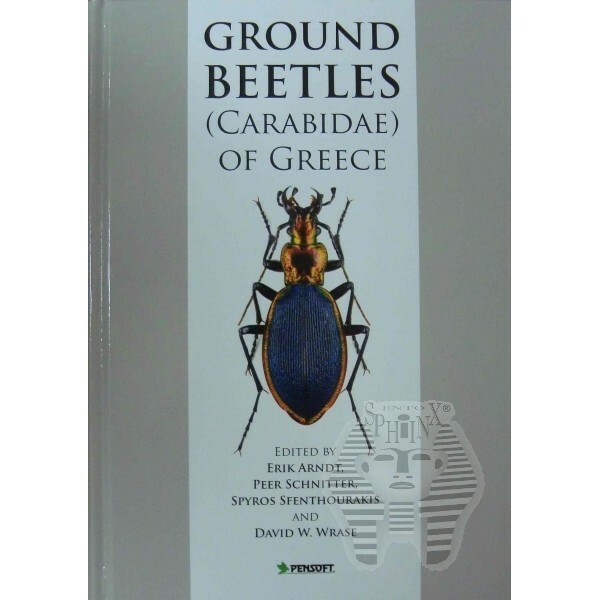 An introduction to the biogeography and habitat types of Greece as well as ecological data of the carabid species complete the content of this volume. 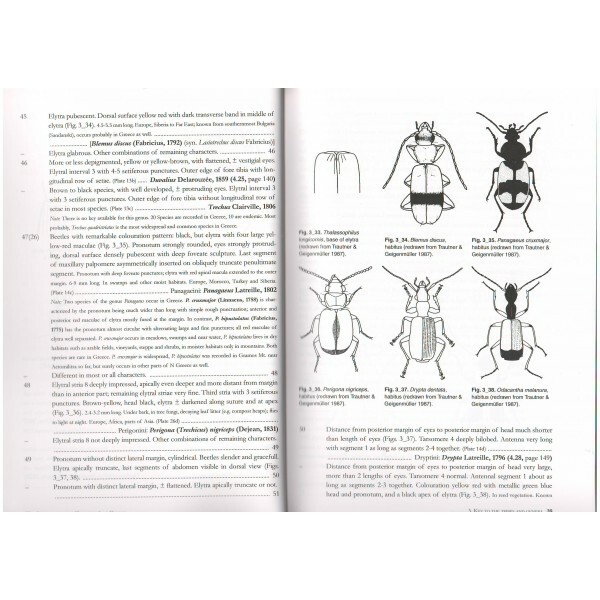 It is the first comprehensive book on Carabidae not only for Greece but for all regions of the Balkan Peninsula, and will be an indispensable tool for anybody interested in ground beetles in connection with taxonomic, faunistic, ecological, and biogeographical aspects of this region.